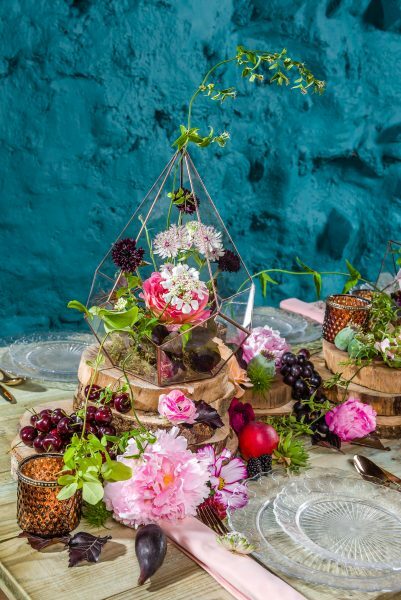 One of three handmade designs. 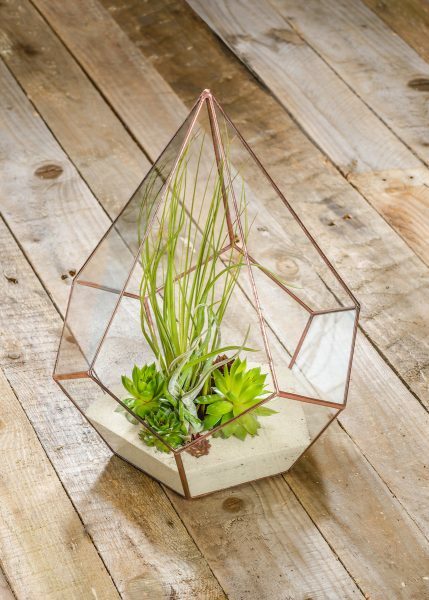 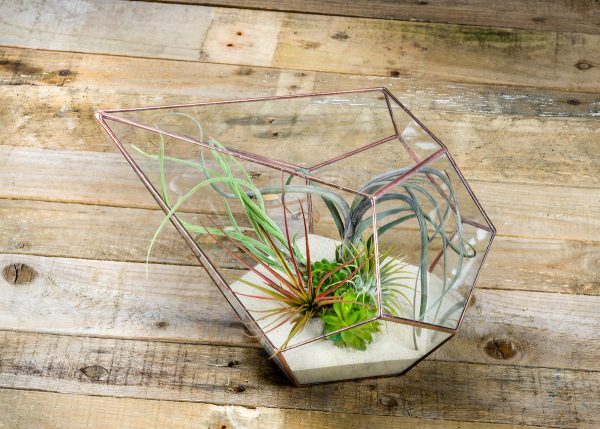 Our latest and most exciting addition to our prop portfolio these handmade terrariums are bespoke to Get Knotted and made in England by Lenka at LoveGlass. 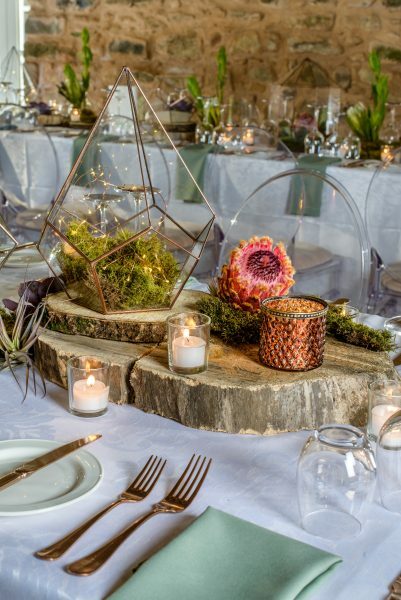 We are very excited to be able to offer these terrariums for hire, they are make a wonderful centre piece and there is no end to how much or little you place inside the glass shapes. 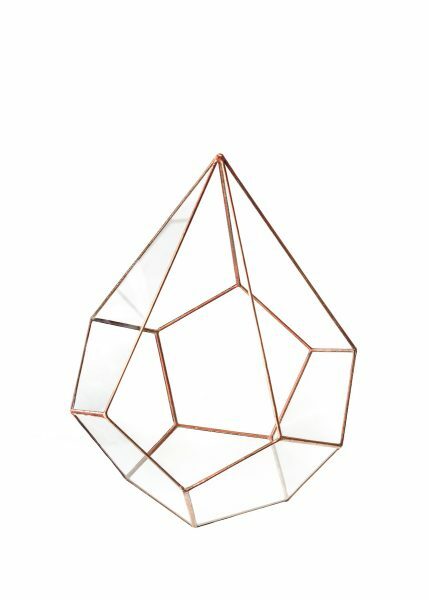 The glass panels are held together with copper patina metal edgings.